For many of us one of the best parts of the festive season is decorating our homes in festive cheer. Twinkling lights, shiny tinsel and delicate ornaments, all of these things are great fun for us and our pets. However, our decorations can also pose health risks for our pets if carelessly placed. Christmas is a time of year where our veterinarians see many cases that could be avoided by exercising some care. 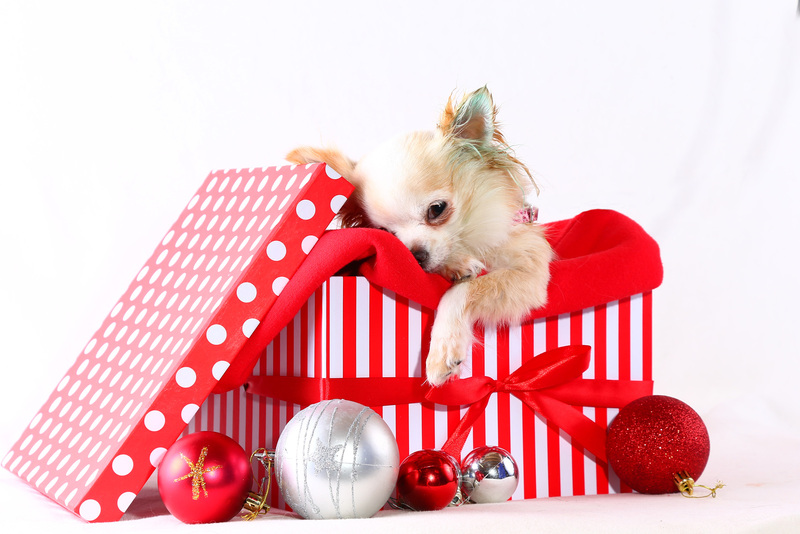 Before you start taking out the decorations, and to save you an unnecessary trip to the vet, we are going to give you some tips on how to protect your pet this Christmas. A beautiful tree covered in shiny ornaments is a Christmas staple. However, for some dogs and cats a decorated tree is an invitation for your pet to jump on or climb up the tree, causing it to fall over – injuring your pet. To minimise the chances of your tree falling on active pets, place it the corner of the room. Ideally place your tree in a room your pet can’t get into when they are home alone. If you prefer a real tree over an artificial one, be mindful that pine needles, sap and tree water can result in nausea, vomiting, skin irritation or injury for your pet. Make sure you cover tree water and sweep up pine needles to ensure your pet doesn’t eat them. Shiny ornaments and festive decorations are a fun way to celebrate the season, but some decorations can result in an emergency trip to the vet if they are not placed with care. It is best to securely place glass and plastic ornaments, as well as wires, towards the top of your tree – out of your pet’s reach. The sharp glass or plastic fragments of broken decorations can cause considerable injury to your pet’s tongue and intestines, and may require surgery. Smaller decorations can be easily swallowed, which can result in a painful obstruction. Christmas lights which have been chewed through can cause potentially lethal electric shock to your pet. Tinsel is another item which can pose a risk to your pet at Christmas time. Cats in particular love tinsel, but a curious nibble by your pet can lead to a Things like tinsel, string and elastic can cause very severe damage to the intestine requiring extensive surgery. So make sure you keep an eye on your pet if they are spending time around the Christmas tree. To seek veterinary advice or care during the festive season contact our Frank Samways Veterinary Clinic on (03) 9329 2755.